This is a tutorial showing how to connect a REST service to MongoDB. 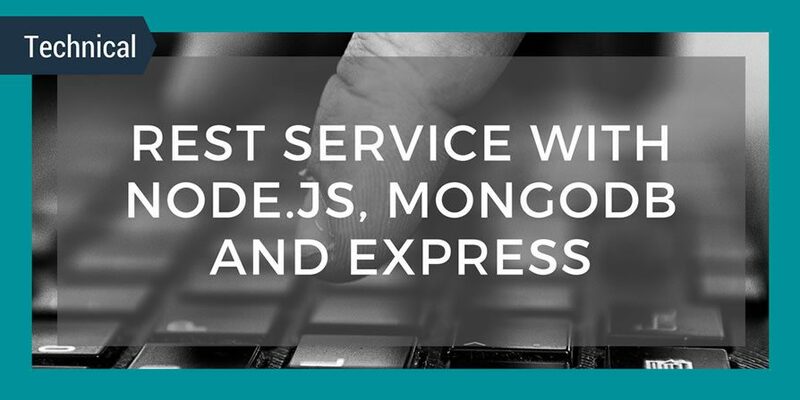 The REST service is written using Node.js and Express, we will assume that you have already gone through the previous tutorial which covered creating that service. If you haven’t, you can visit the tutorial here. Since explanations were already covered for some of the parts in the previous tutorial, we won’t re-visit the explanations here. We will only cover the code that is being changed for this tutorial. The code for this tutorial is available here on github. The first couple lines are simply importing some classes from the mongodb module. Notice we have added a constructor to the UserProvider class, which takes the host and port of the MongoDB server. In the first couple lines in the class, we create the Db object and open a connection. Now, in the fetchUserById method, we again access the collection from the db and this time call the collection.findOne method and give it a query parameter, we look for any object with the _id field set to the id variable which was passed in, but first we have to convert it to an ObjectID from the hex string which we receive. In the next tutorial in this series, I will cover adding a web interface to this service.